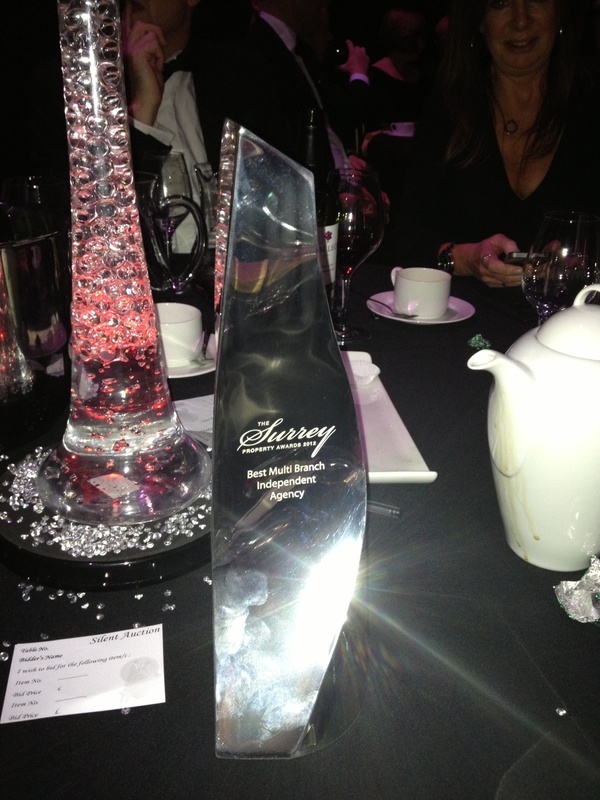 Seymours, West Surrey’s network of independent estate agents, has struck gold at the West Surrey Property Awards 2012 by taking home the Award for Best Multi-Branch Independent Agency. The prestigious annual awards ceremony, which aims to celebrate the estate agency profession throughout West Surrey, attracted over 2,000 nominations and was attended by over 300 of Surrey’s finest property professionals. Hosted by extreme athlete and television presenter Tim Emmet, the awards covered a diverse range of categories from Best National Agency through to Personality Of The Year.